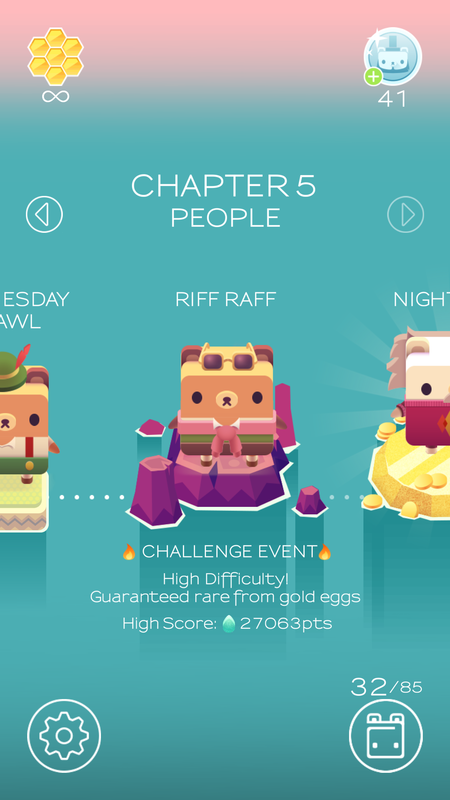 I started playing Alphabear shortly after it was released. Since then they have made the game better!!! As with all games, changes are put into place after it’s released to fix known issues and make the game play better. One of my favorite changes was the day my first blog was scheduled to post, they made it so you can move between the chapters. That was one of my biggest issues with the whole game. I could play but once I moved from chapter one to chapter two, I couldn’t go back. They’ve also added some new legendary bears ( unicorn bear). In the original release I had major issues with the interface for choosing your bears. When I would scroll, sometimes it would randomly select the bear closest to my fingers, even though I wasn’t touching them. They’ve fixed this issue with the new selection button. You can scroll through your collected bears and one appears at the bottom of the screen. They’ve made it appear big and bright, with what it does for you and the bonus. Then you chose select! There is also a new option for using coins to wake bears you have recently used. I like that feature a whole lot. My only problem now may be with my phone. The responsiveness has gone down with this last game patch. Not sure why it’s changed. I cleaned the screen but still, sometimes it doesn’t like to select the letters in-game. It’s super frustrating. I still think it’s my phone though. Let me know if you are having the same issue. My phone’s a SG4 Note. Tips and things I find amusing! They have added new end captions. The celebearties are included in some like Steven Colbear. 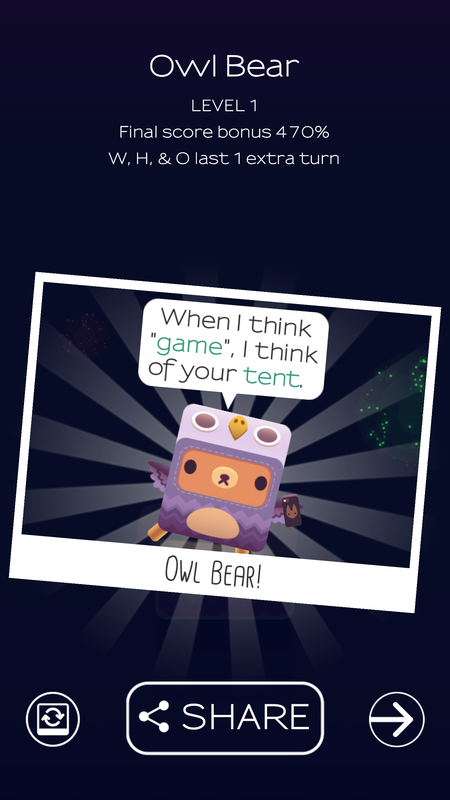 I just unlocked the “OWL BEAR.” The geek in me skipped a beat. So funny. Some of my strategies include using words that end in – tion. These can include, desalination, declaration, sanitation, destination, station. 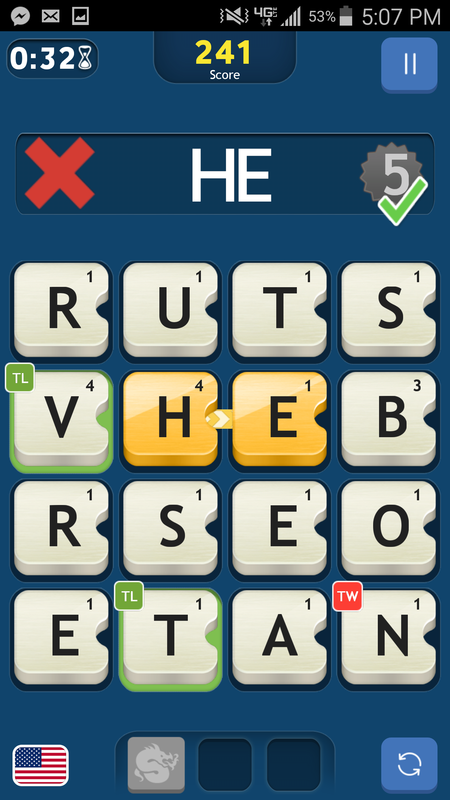 These words take up a lot of letters and if you are using OCTOBEAR, you get a fat bonus. Remember your plurals and past tenses pookie! If you are spelling a word, thrown an -S or an -ed on the end. This helps use up a few more letters. I tend to aim for using ALL the letters on a board. Some are very tricky in chapter 5 though. If you have letters you need to use before they turn to stone, use all the combinations. 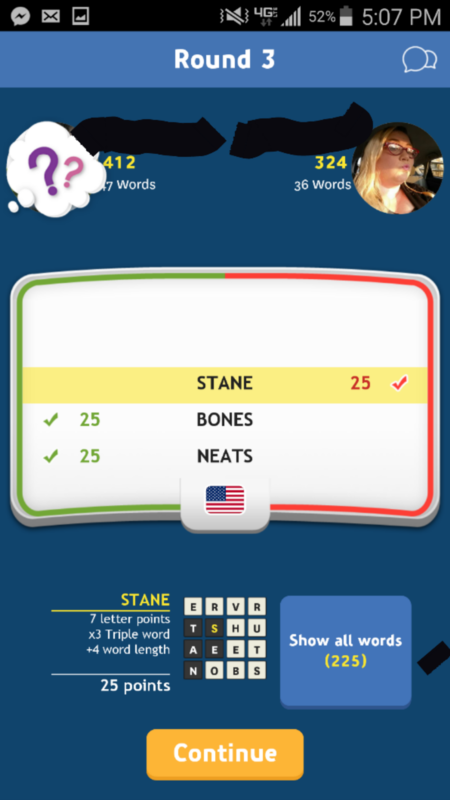 I’ve learned a few words since I started playing. Remember your prefixes like re-, de- and un-. 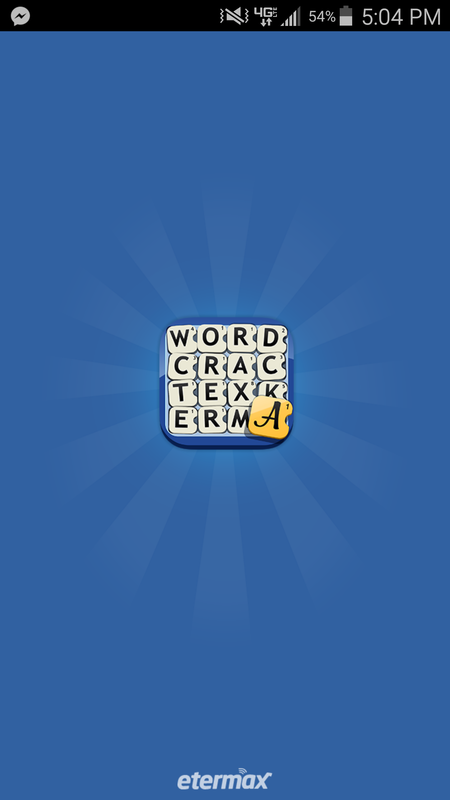 There are tons of words that can be expanded on by using a prefix. Say you spell “make.” You can make re-make and unmake. I’ve used both in-game. Destabilize, restabilize, unstable. See what I did there? 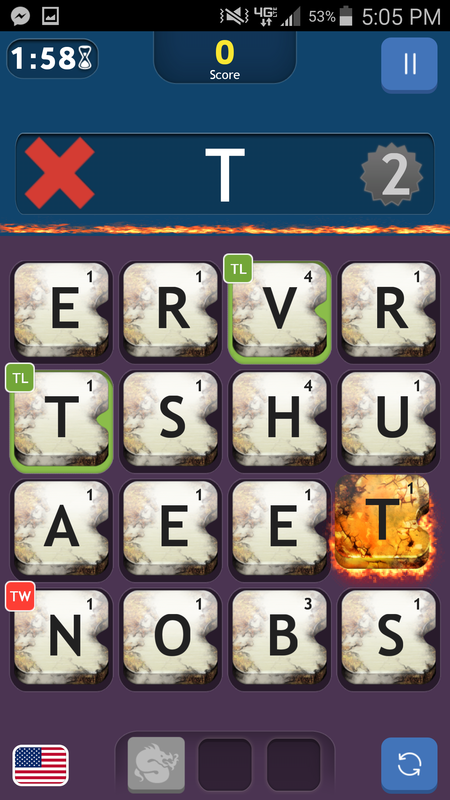 In timed mode, I no longer care about stone letters. I spell for my life. It’s the trade off in this game. I save the highest bonus bears I have for timed levels since there isn’t time for me to canoodle with the letters. 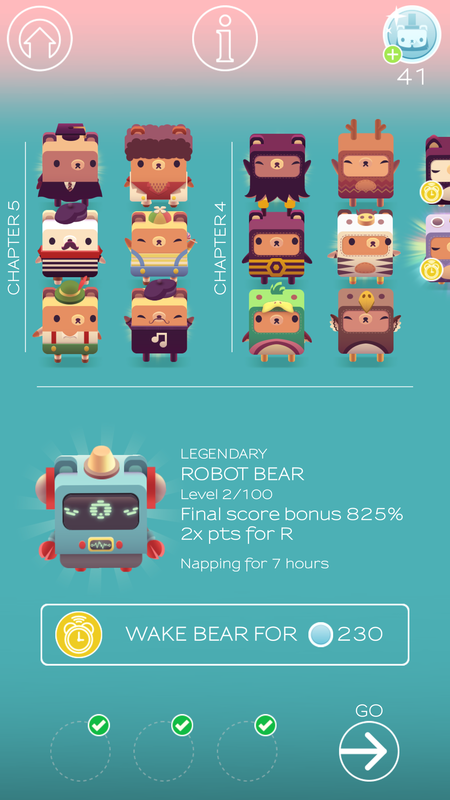 I hope you’re having fun with Alphabear! Tell me about it! I love it so much. I play through the game every day. 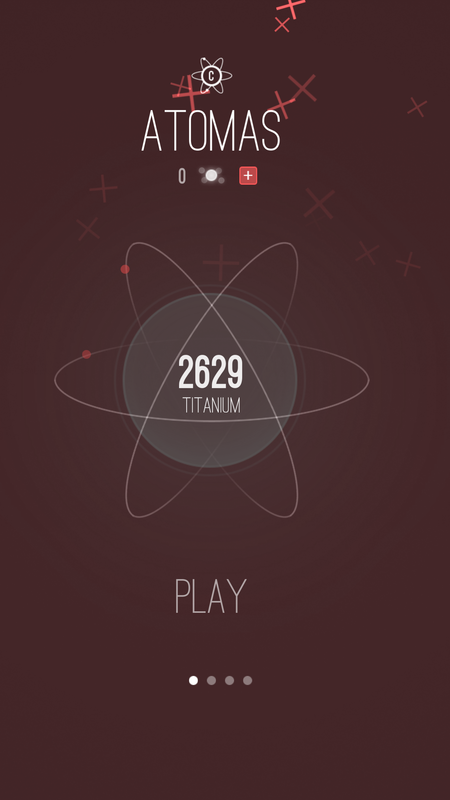 I found an interesting game that uses Chemistry as the basis for game play. The playing field is a circle. It gives you elements, pluses and minuses. You can combine like elements, cause chain reactions and move elements around with the plus and minuses. When you combine two elements you get a the next element usually. Like two Hydrogen, atomic number 1 combine to make Helium, atomic number 2. 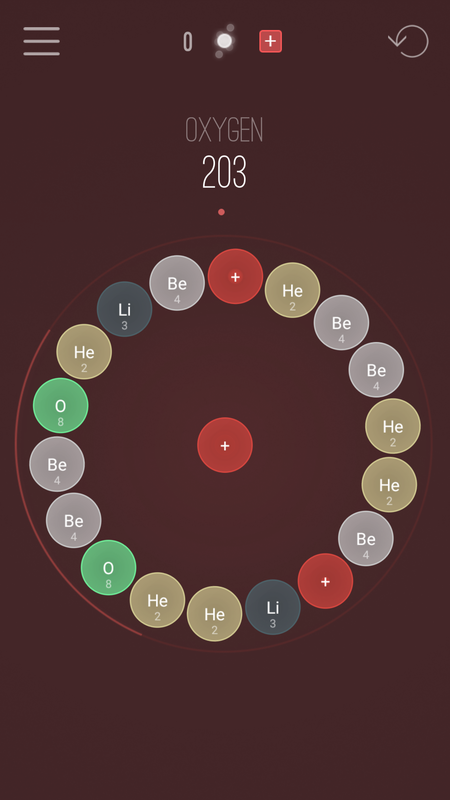 Lithium combines to beryllium. There are chain reactions as well. You can line up elements so that they all combine when you deploy a plus. The game relies on the magic of symmetry. The bigger the chain and the larger the elements, the better your score. The full extent of the chain is indicated by the colored line outside the ring. 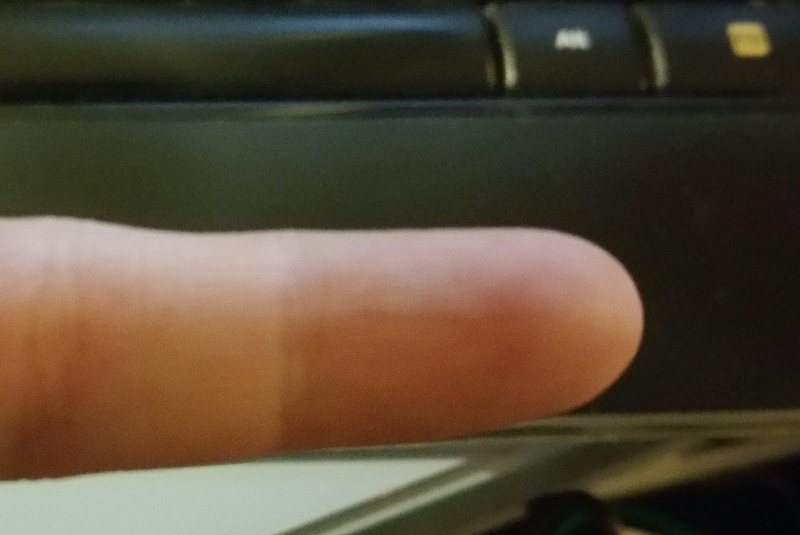 You can use that to aim you shot with the plus. 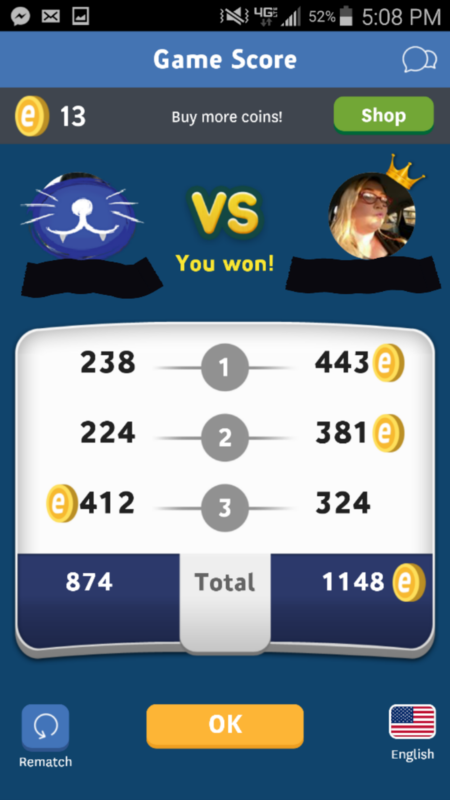 There is also the minus, which allows you to move elements around the board. This is great if you have one out-of-place. Later on there are black pluses that will combine two unmatched elements of any kind. If you are in a bind there is a fusion power up that absorbs half the board. You can earn more antimatter or buy antimatter through an in-game purchase. 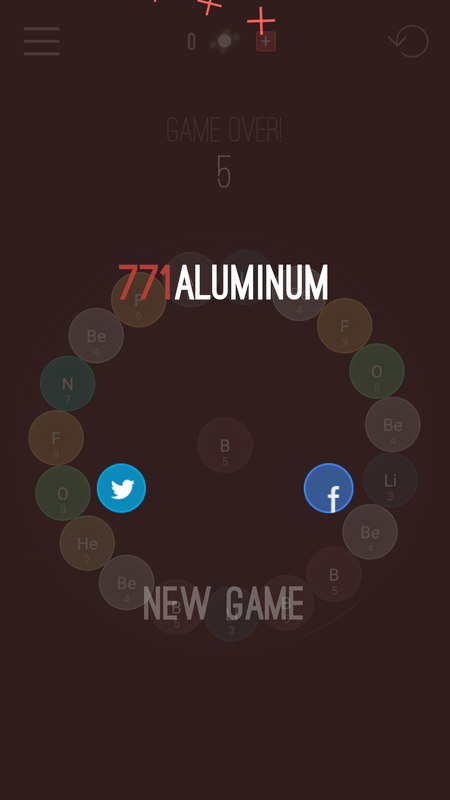 The game either ends when you get all the elements or you fill the board. After you’ve played the game, you get into a rhythm. There are certain elements that count as lucky charms. The charms give you bonuses and minuses. You can only equip one at a time. Silicon gives you 10 extra combination pluses in the game. The game has three modes as well. There is the standard mode, timed mode and FULL ALCHEMIST. I haven’t unlocked Full Alchemist yet. You have to create gold in order to unlock the final mode. 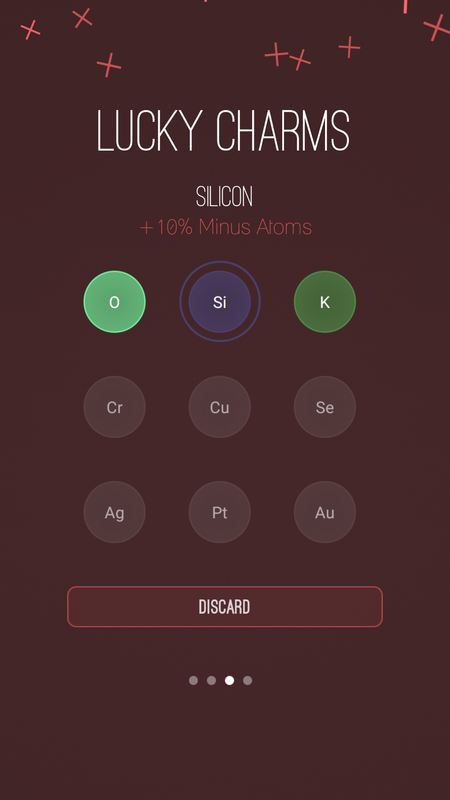 Atomas is made by Sirnic. The developer is out of Germany. 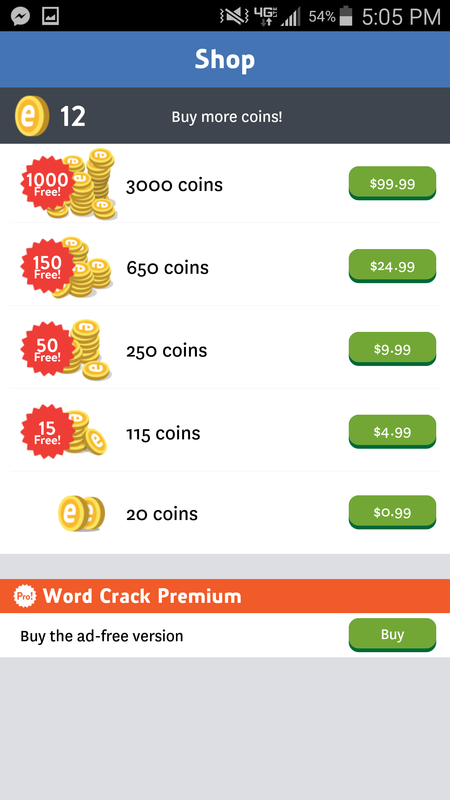 They have several other apps including Gravity Blocks. 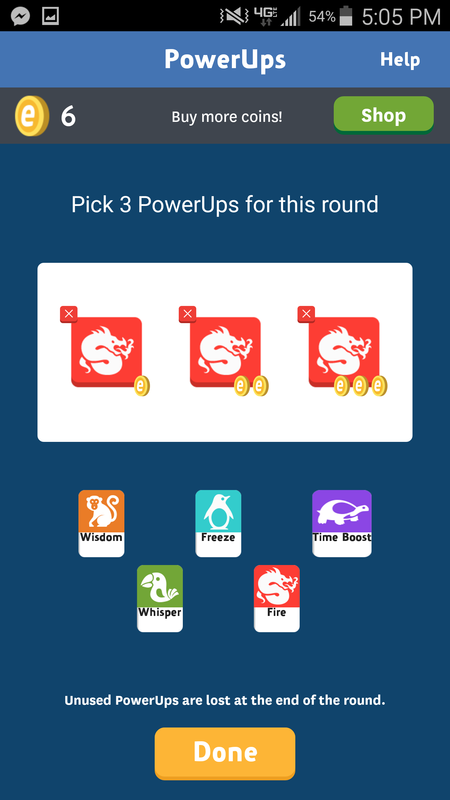 You can find the games on IOS and Android! Enjoy! All the games I love are addicting.